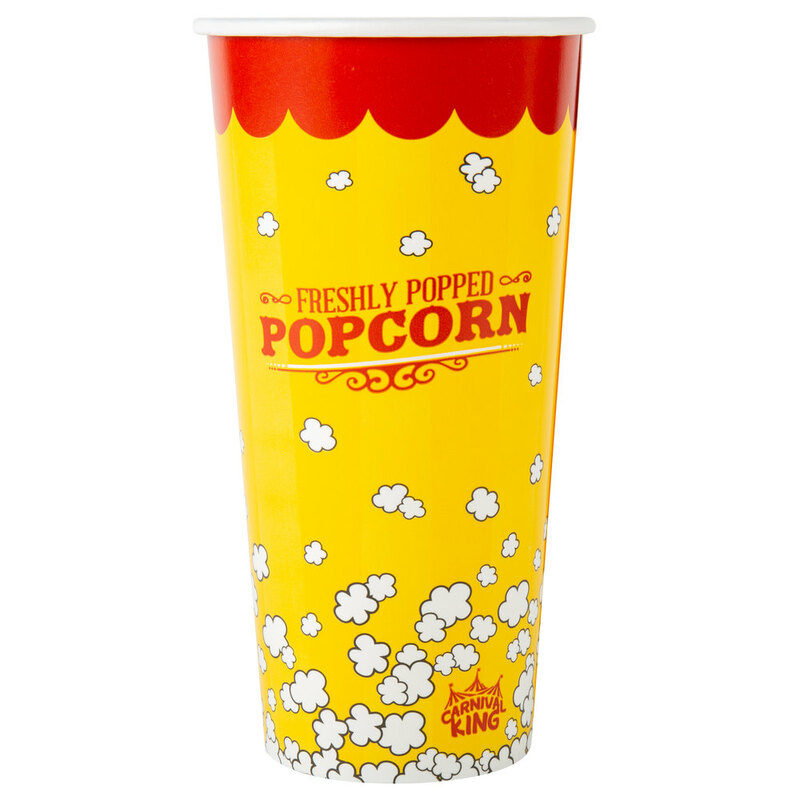 Complement the irresistible aroma and exquisite, buttery taste of piping hot popcorn at your concession stand, movie theater, or snack bar with these colorful Carnival King 24 oz. popcorn cups. The 24 oz. Carnival King popcorn cup features an eye-catching popping popcorn graphic design that will help your concession stand boost impulse sales!